Saturday afternoon saw the Boston GAA season get underway with 3 games from the first round of the Pat O’Brien Cup. Conditions were good underfoot considering the harsh winter the region had endured, though a stiff cold breeze greeted the teams to the back field at the Irish Cultural Center. There were plenty of new faces on show as Kerry, Galway, and Wolfe Tones came out winners. Kerry always had their noses in front of Christopher’s save for a brief period where the teams were level shortly after half time. Galway and the Blues played a low scoring affair in which Galway prevailed by a goal, while the Wolfe Tones four point victory over Connemara Gaels flattered their opponents. A combination of wasteful first half efforts from the Tones, and two first half goals from the Gaels, kept the Connemara men in with a shout till the very end. The early season action continues next Saturday, May 2, with Aidan McAnespies and Donegal completing the first round at 3:30, followed by two knockout clashes in which Kerry and Shannon Blues meet, with Galway and Christopher’s providing the finale. Kerry came through their first outing of the year fairly comfortably in a game where they never were behind. Holding the edge up front Kerry went into a five points to one lead with half time approaching. Ronan O’Driscoll at center back held the line well, while Andy Menton, Robbie Croft and Ciaran Wallace converted at the other end. Christopher’s looked to center forward Tom Fahy to break the ice on the scoreboard with a sideline kick and pushed hard before the break. Eoin O’Neill, and soon father to be, Dan Kenneally, converted just before the break to make it a five points to three Kerry lead. Shortly after Wallace had extended the Kerry lead to 3 points following the restart, the sides were level. Fahy converted from the sideline and a free, while former Cork U21, Kevin Fuligniati, finished a wonderful move that he started himself from his corner back berth. Croft answered in kind with a great strike, and then supplied the pass for Robert Ahern to finish into the net. Kerry rediscovered their first half mojo and added three more unanswered to provide a sufficient cushion to absorb a late Christopher’s push. Kerry: B. O’Driscoll, S. O’Driscoll, J. O’Keefe, M. Godley, R. O’Driscoll, J. O’Shea, I Whelan, A. Menton, J.O’Keefe, R. Croft, C. Wallace. Christopher’s: C. Walsh, D. Donoghue, K. Fuligniati, S. Rice, C. Murphy, E. O’Neill, D. Cash, D. Kenneally, Dara Bell, T. Fahy, P. Kenneally, P. Manning, J. McNamee. Galway and the Blues battled it out on Saturday. Galway came through a tough encounter with Shannon Blues; a James Doyle goal proved the difference in the end. The first half was a tightly contested affair. Galway led by the odd score of five at the break. Locally bred players Conor Fitzgerald and Conor Mullen pointed for the Blues, while it was Doyle (2) and the pride of Laois, Dan Reddin, who converted for Galway. Each side managed two scores a-piece in the second period. After Conor Mullen leveled the scores with a well taken point, it was Doyle who put Galway a nose ahead. The Blues worked hard to close Galway down in the second half, however, could not convert the hard won possession into scores kicking several balls wide of the posts, putting the umpires to work fetching the stray balls from the woods behind the goal. The deciding score came from the man on the mark, Doyle. A sideline kick from Sean Marshall found Doyle at the far post and the Galway captain put the ball away with his left foot. The Blues almost leveled again, but Fitzgerald’s acrobatic effort to palm the ball into the net, and level the scores, found the crossbar instead. Galway held out with Vinny O’Brien doing well at corner back alongside Greg Lundy. Blues war horse Gary Henry put a trademark free kick over the bar from distance, but time was on Galway’s side and the Brighton men came out with a hard earned win to start their season. Blues: M. Moriarty, S. Kelly, D. O’Brien, J. Craig, L. O’Connell, C. Mullen, P. Murray, K. Byrne, C. Fitzgerald, P. Moriarty, K. Barry, J. Feeney, D. Kenny. Galway: D. Bindon, V. O’Brien, G. Lundy, J. Doyle, P. Cummins, N. Curry, S. Marshall, J. Kehoe, K. Gallagher, D. Reddin, T. Moloney, K. Cummins, JJ Doyle. Sean Conneeley on the attack for the Gaels. The Gaels and Tones rounded off the day with a game that was tight on the scoreboard, though the Tones it must be said, held the aces and only showed themselves in the second half. The westerners got off to a flying start with goals from easterners; Wicklow man Matthew Byrne netted from close range and was soon followed by Kildare’s own Luke Purcell. Sean Conneeley added a point and the Tones were reeling. Last season’s championship finalists labored. Having enjoyed the lion’s share of possession they had little to show for it. Gavin Walsh eventually turned the spigot with a point and then followed a bizarre sequence in which the Tones should have netted, however, after grabbing the rebound off an initial save and with the goal yawning in front of him, Marty Farrell won the prize for the miss of the year, hitting the spot on the crossbar from the edge of the small square. Walsh and Mike O’Brien pointed before the break to reduce the gap to four points. The Gaels rode the two early goals to about half way through the second half. Darren McGuire was the man who put an end to the messing with back to back goals after Joyce-Power had pointed twice. The Gaels exposed the Tones back line again and sneaked in a third goal. Tommy Higgins took a quick free to the unmarked Coleman Conroy who fired into the net from close range. Although there was just the point in it the Tones controlled the final minutes by holding possession. Alan Molloy, O’Brien and Joyce-Power provided the finishes to shepherd the Tones to the final whistle. Gaels: E. Connolly, D. Leech, C. McDonagh, L. Purcell, D. Black, C. Mulkerrin, T. Higgins, T. McDonagh, J. Polly, N. Graham, S. Conneeley, K. Owens, M. Byrne. Tones: P. Miskell, D. McGuire, C. Moriarty, D. McDonnell, G. Brilly, K. Gill, A. Molloy, B. McShea, M. O’Brien, C. Joyce-Power, S. Kelly, G. Walsh, M. Farrell. 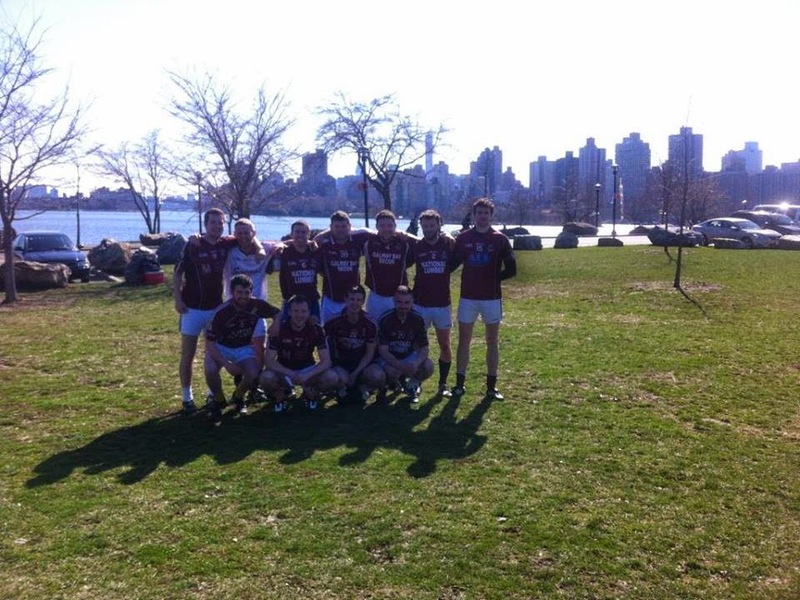 A little bit of history was made last weekend when no less than 5 clubs traveled from Boston to New York’s Randall’s Island to participate in the John Joe Cassidy seven a side tournament. The tournament appears to be growing in popularity 200 miles by interstate 95. It comes at an ideal time for clubs to kick off the season and is a great team builder. 2013 winners, Wolfe Tones, were joined by the Connemara Gaels, Cork, Galway, and Christopher’s. The Tones were the only side to make it out of their group, defeating fellow Boston club the Connemara Gaels, Mayo and Brooklyn Shamrocks on the way. Having lost to Cavan New York in the group stages the Tones faced the New Yorkers again in the final and lost out by five points. 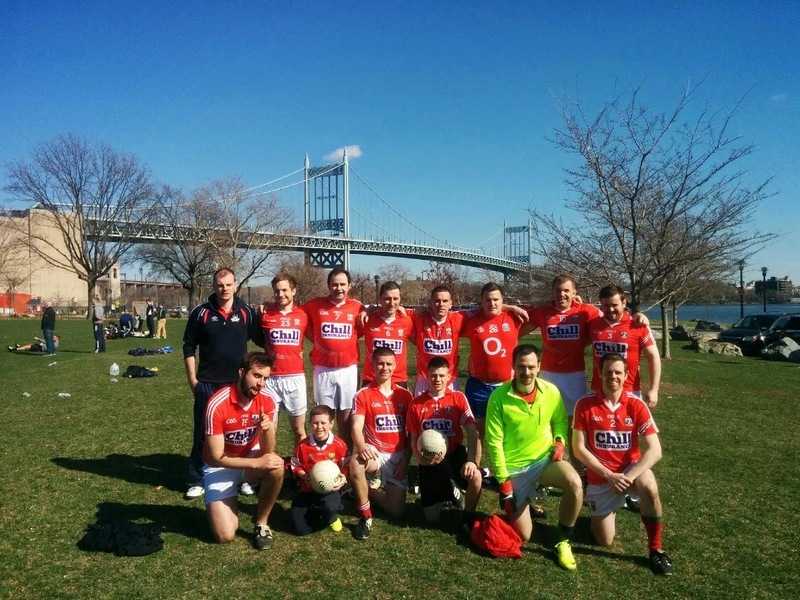 Many of the visitors remained on Sunday to watch Cavan playing New York at Gaelic Park. All in all a great weekend away for the Boston clubs. As human beings we evolve. Humans are taller, stronger, and live longer nowadays compared to a generation or two ago. Along with evolution of the species, training and fitness programs have evolved, making naturally taller and stronger athletes even fitter and stronger today compared to 15 or 20 years ago. The games we play must also evolve with the athletes who play them. Much has been said and written about the defensive tactics employed by a number of county and club football teams lately. Pat Spillane’s “Puke football” was one of the early descriptions of said tactics. Joe Brolly referred to the recent Dublin versus Derry National League game as “muck.” I have watched some of the intercounty games from Ireland in recent years and I have to say that at times the game resembles basketball or Olympic handball played on a large field. The team not in possession retreats en masse to defend the goal while the team with the ball passes back and forth across the field several times before deciding to attempt a penetrating pass. I do not always remember it being that way; my memory is of the ball moving up and down the field fairly quickly rather than side to side. Anyway, changing rules to suit the changing times is nothing new. Basketball is a great example. Rules were introduced to keep dominant players from completely taking over games. The 3 second rule to prevent a particularly tall player from camping under the basket, or rules for free throws to prevent said taller than tall players from leaning towards the basket and reducing the distance. What seems to have happened with Gaelic football has as much to do with fitness and stamina levels as with tactics. In the “old” days players would not have been fit enough to rush up and down the field to clog the defence or break away for 70 minutes the way they can now. As a manager, if your players have the ability to execute the tactics why not use them? I am more used to watching the 13-a-side game played under the North American County Board rules. It has been that way since I came the United States 23 years ago. I do not know the reason for playing 13-a-side, I always put it down to the fact that we played on a small field. Maybe it was down to numbers, who knows. Anyway, since moving to the full size field the numbers have remained the same and the games are highly entertaining. Four less players on the field means more space and managers have to vary tactics. Forwards have more room in which to operate and games are open and fast. It would be a radical change; maybe the powers that be would have to wait until there is a crisis (which there is no sign of just yet) before contemplating such a radical change. Radical changes are not unprecedented in the GAA however. At one time games were played with 21 players on each team, goals counted for an infinite number of points, frees and sidelines had to be taken off the ground, etc. However, if these tactics continue and lead to a decline in attendances and viewership opening up the game by reducing the number of players would be an option that is worthy of a high place on the list of considerations. Canton on a Sunday in high summer is evidence of that. Here we are on the doorstep of another GAA season, hoping to put the winter behind us and look towards spring. Outdoor training seems a long way away as the stubborn cold is slow to give way and allow for melting on the practice fields. Eventually the inclement weather will move aside and allow the more temperate climate of a short New England springtime to move in, clubs will move outdoors onto the grass, and the action will begin again for the Boston Northeast GAAs 16th season at the Irish Cultural Center. Not long now till the sun is shining and the hurls are swinging. It will be interesting to see how 2015 shapes up with the local championships following a possible hint of a shift in the landscape last season. The senior football championship was very tightly contested with playoff positions up for grabs until late in the summer. The Wolfe Tones finally made the breakthrough and contested their first senior football final but fell to the Shannon Blues who captured their second championship in three years. On the back of a strong home base of players, Kerry were a score away from pulling off an upset against Donegal and making the semis, but a last minute point saw the northerners through to the disappointment of the Kingdom. There was some tremendous talent and competition on display each weekend during the summer. From my vantage point in the press box, players who stood out were the Shannon Blues James Walsh, Fr. Tom’s Zane Keenan, and Jenny Byrne of Tir na nOg. No doubt clubs are tooling up for this season, with some titles to defend and achievements to build upon. A development that was great to see this year was a Boston team taking on New York in November as a curtain raiser to the All Star game. The home based players embraced the chance to represent the division and prepared well for the game. A draw was a fair, though disappointing, result in the end as the chance to win it was there. Hopefully this will continue and prove to be a focal point for the division to give the top home based payers a chance to play together. Fr. Tom Burke’s won their first senior hurling championship in 10 years, defeating Galway in the final. Visitors to Canton were treated to the skills of Keenan; the Laoisman’s talents were a wonder to behold at times. Captained by John Moylan, it was Galway though who took the North American trophy against Naomh Padraig of San Francisco. The Tir na nOg burst back on the scene and defeated the holders, Connacht Ladies, to reclaim the ladies senior football crown. Wexford proved top dogs in junior hurling, while Worcester took the junior C hurling title. 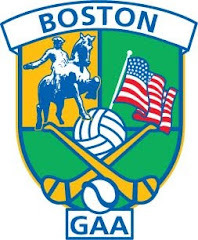 The junior hurling scene continues to grow beyond the city of Boston as Barley House Wolves in Concord NH, along with the hurlers from central Massachusetts, will be entering both junior C and junior B teams this season. The junior hurling competition will feature Wexford and Fr. Tom’s, along with the junior B’s of Worcester and Barley House Wolves, the games against the A teams will surely help with the development of these clubs. On the football side it was Donegal, Shannon Blues and the Boston Shamrocks taking the titles. The North American finals at the ICC proved to be a grand finale to the 2014 season. The venue was looking the best that it has since opening its doors in 1999 and the local division came away with a haul of 6 North American titles. Senior championships were captured by the Galway hurlers, Tir na Nog Ladies footballers, and Eire Og in Camogie. Junior honours were won by the Donegal footballers, Worcester hurlers, and the Boston Shamrocks ladies footballers. In April and May the rust is shaken off as teams look to find out about themselves and the opposition, while June sees the beginning of the serious stuff taking us into a hot and heavy July, and before you know it, the excitement and drama of the playoffs and finals in August. Rivalries will be renewed, stories will unfold, lifelong friendships will be made, unforgettable summers will be had, and championships will be won. Roll on the summer!